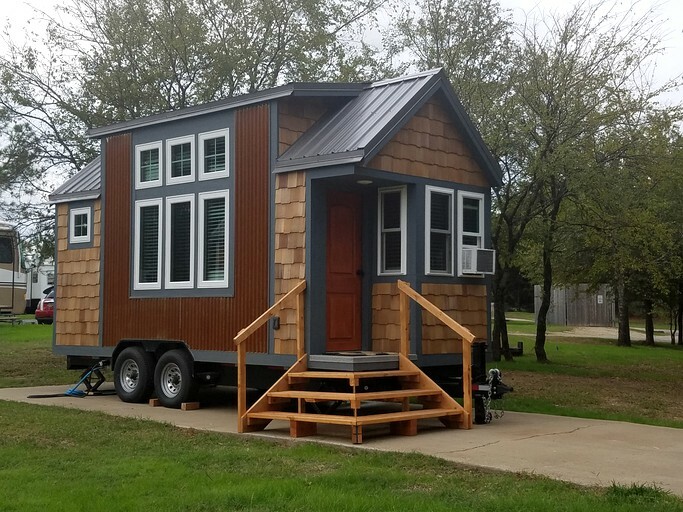 This unique tiny house is located one hour away from Dallas, Texas, but is situated in Canton, and can comfortably accommodate up to three guests. 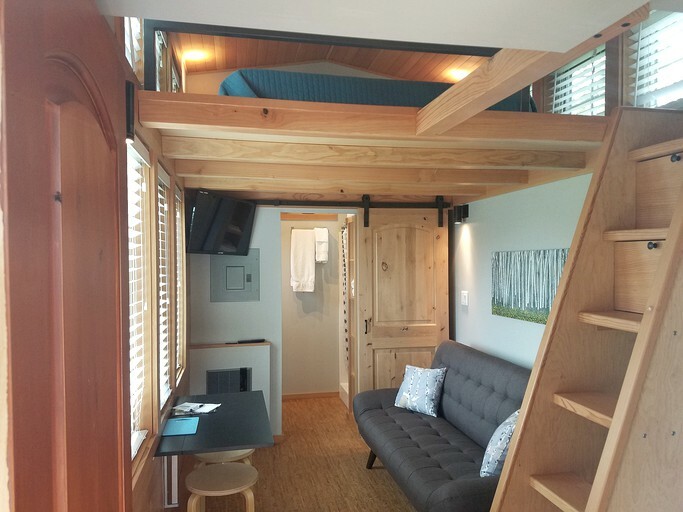 The escape has one lofted bedroom and one full bathroom. 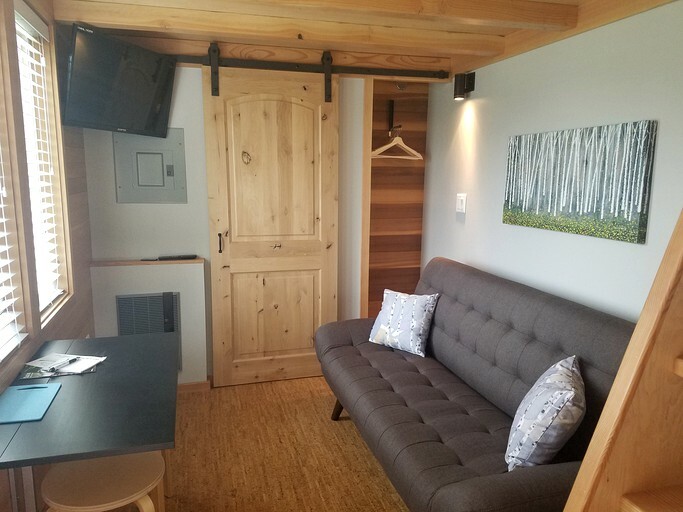 The upper loft area has a queen-sized, memory foam mattress, and additional sleeping space can be found in the living area where there is a convertible sofa bed. 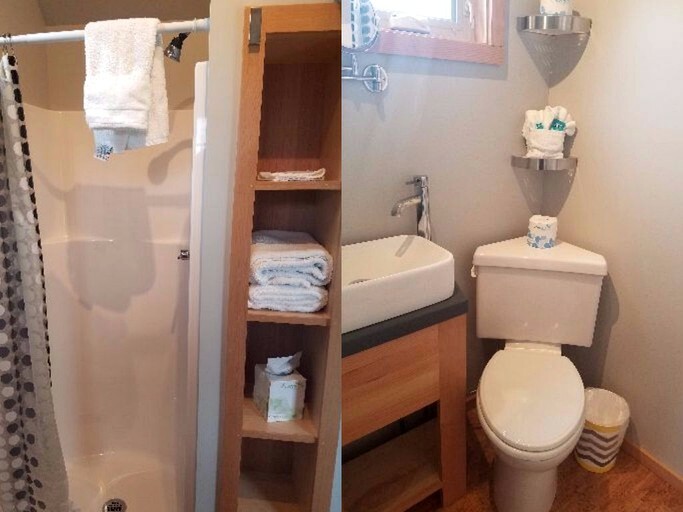 In the bathroom, guests will find a toilet, a sink, and a small walk-in shower. Linens and towels are provided. In the living area, there is a sofa and a 32-inch, flat-screened television. 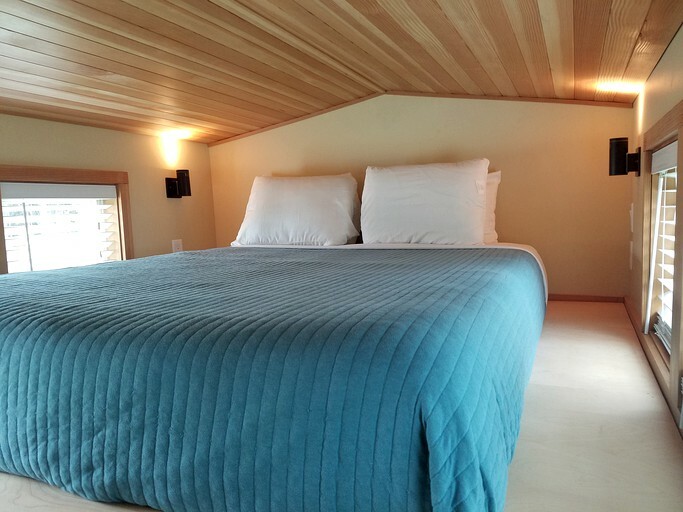 Cork flooring and country-inspired decor make the accommodation the ideal place for a restful getaway and create a truly relaxing atmosphere away from the bustle of everyday life. 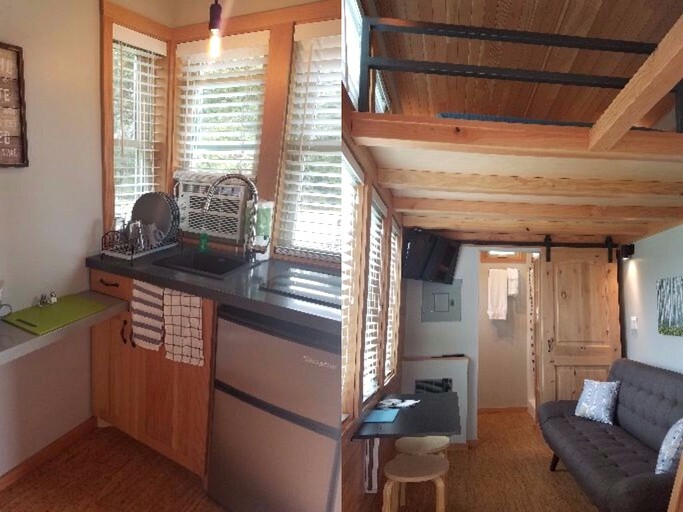 The provided kitchenette comes with a sink, silverware and dishes, a coffeemaker, a mini refrigerator, and a lift-up table with two stools. Other amenities include on-site parking, air conditioning, and heating. This property is well-equipped to provide guests with a relaxing, adventurous getaway. 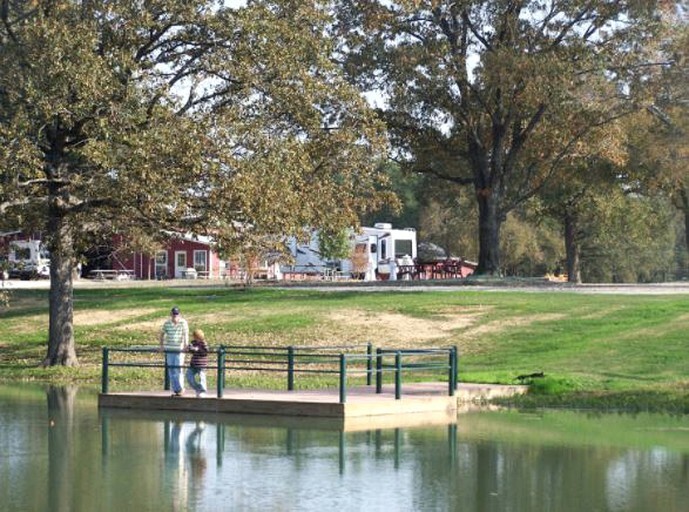 Eight different ponds can be found on the property, along with nature trails and volleyball and basketball courts. A video game and board game selection are available for guests' use, and a camp store provides everything from gifts and souvenirs to snacks and supplies. 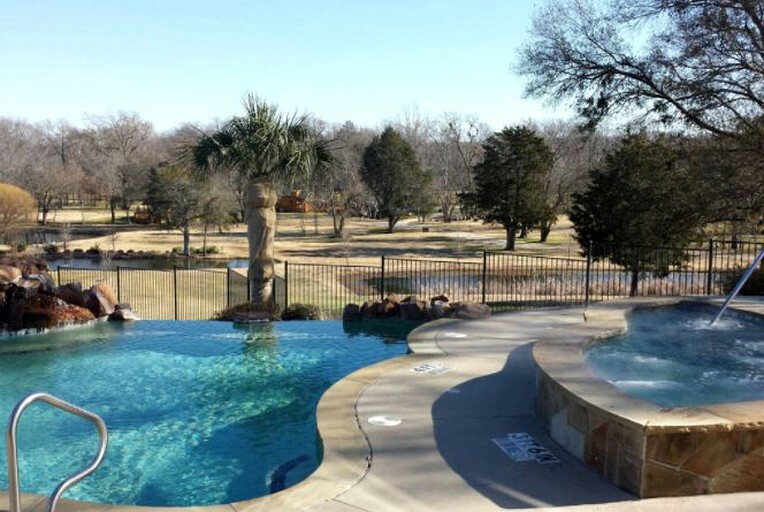 Guests can enjoy the property's nine-hole disc golf course, and pets will be happy at the retreat's dog park. 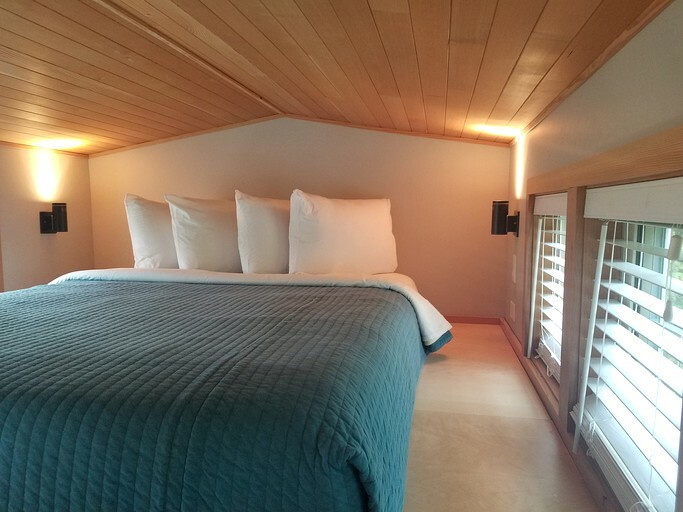 Outdoor barbecue grills, a swimming pool, and fire pits are available for glampers' use, and the expanse fields that surround the accommodation offers the chance to take advantage of the stunning natural beauty of the area. 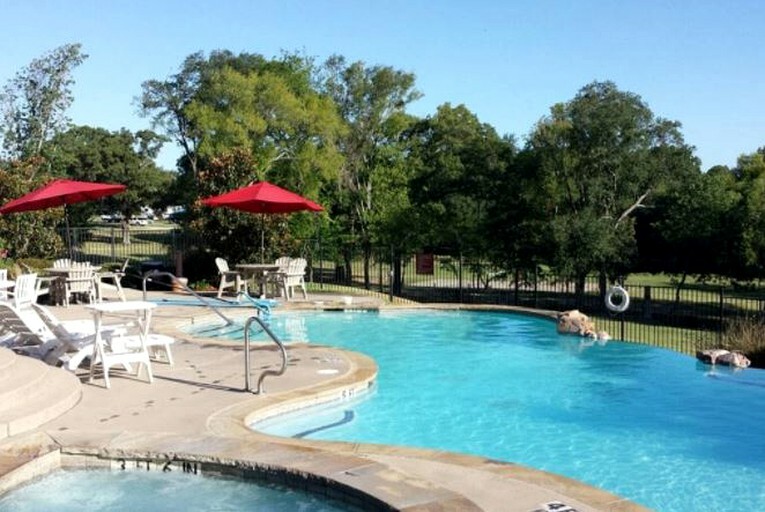 This lovely escape is located in Canton, Texas, and sits on a well-groomed resort with expanse fields and stunning greenery. A plethora of museums such as the East Texas Oil Museum, the Blackwell House Museum, the Canton Plaza Museum, and the Salt Palace Museum are easily accessible from the property along with attractions such as the Tiger Creek Wildlife Refuge, the Texas Freshwater Fisheries Center, and the East Texas Arboretum. This getaway is set up for guests to have an enjoyable time, with a wide variety of available activities. 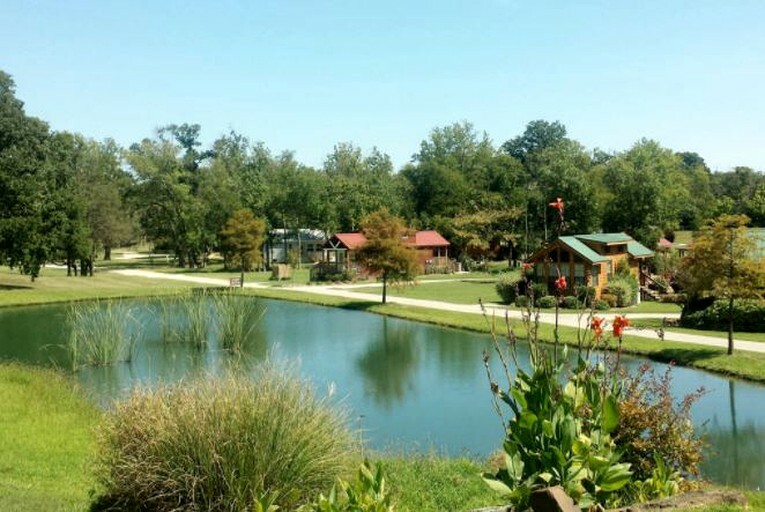 Guests can take part in catch-and-release fishing at the retreat's many ponds, and glampers are welcomed to get competitive on the volleyball and basketball courts or engage in a game of horseshoes. Walden Pond, found just steps from the accommodation, offers the chance to paddleboat, and the nature trails spread throughout the land allow for hiking, biking, hayrides, and bird watching. Every Friday night, there is live entertainment at the on-site bar, and guests can enjoy the property's relaxing spa for an extra touch of luxury. 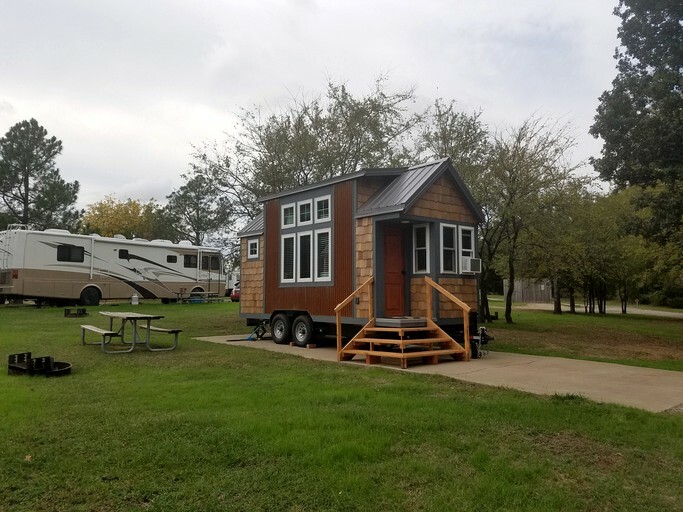 Nearby attractions in Canton and Dallas, Texas, make for exciting day plans—making this getaway the perfect place for those glampers hoping for an action-packed getaway wrapped in the stunning natural beauty of rural Texas. Pets are allowed in specific areas of the property. There is a $50 deposit required plus an additional small fee to bring pets.